This week and last, my Facebook newsfeed has been flooded with Back to School posts, both by teachers and parents! I can hardly believe that we have reached that time of year again! I feel so blessed that right now I get to be at home with my baby girls rather than beginning a new year of teaching kindergarten! I am also extremely grateful that I have three more years before Lacie skips off to her first day of kindergarten! All of the back to school madness has inspired me to share a few recipes that will help with packing lunches and snacks as well as those quick grab-and-go breakfasts! 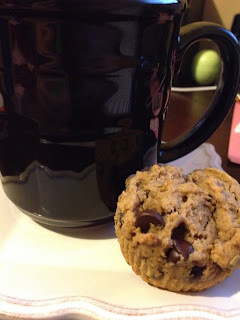 Yesterday, I shared my recipe for Double Chocolate Muffins. Today you were going to see a recipe for homemade granola bars.... But there were a few overripe bananas sitting in my fruit bowl so I did a last minute recipe change! We eat a ton of bananas at our house, and they rarely get the chance to become too ripe! However when that does happen, I have a few go-to recipes to use up those bananas so that they do not go to waste. Well, today there were two bananas! 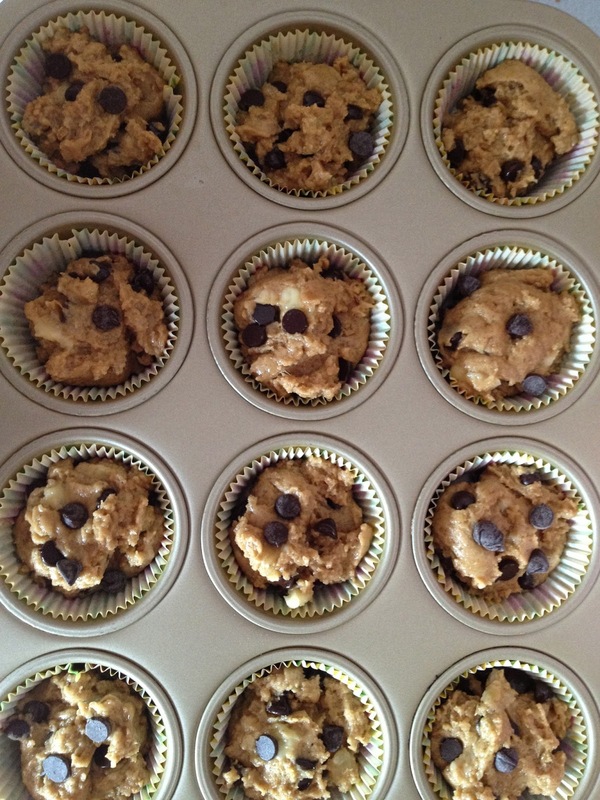 So you will be reading all about my Sunny Days Muffins! I called them "Sunny Days" because I make them with Sunflower Seed Butter for my Peanut Free Princess (who happens to love Sesame Street right now). Now I specifically use Sunbutter brand in the "Natural Crunch" variety which has actual sunflower seeds in it. You can use whatever type of nut or seed butter your family eats. 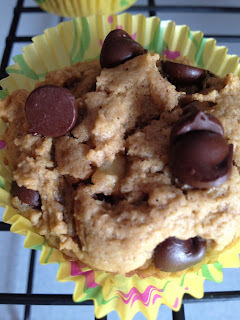 Using the sunflower seed butter makes these muffins nut free and school friendly! They also happen to be egg free as well! 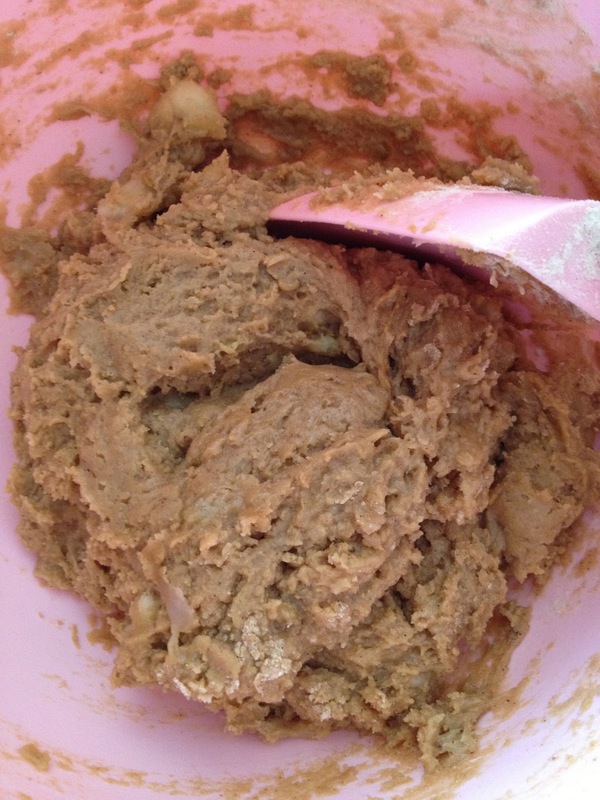 In a large mixing bowl combine oil, mashed bananas, vanilla, sunflower seed butter, and sugar. Enjoy! 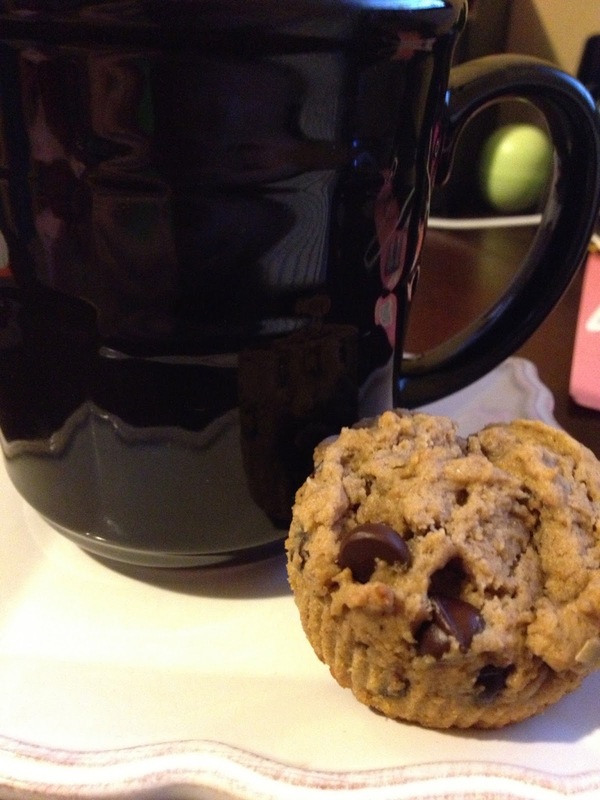 These are the perfect breakfast or snack! They also freeze well if you want to make them ahead of time!